The Tanoshiboy Chronicles: Design & Illustration Blog: But Wait There's More... Bonus Sketch! But Wait There's More... Bonus Sketch! 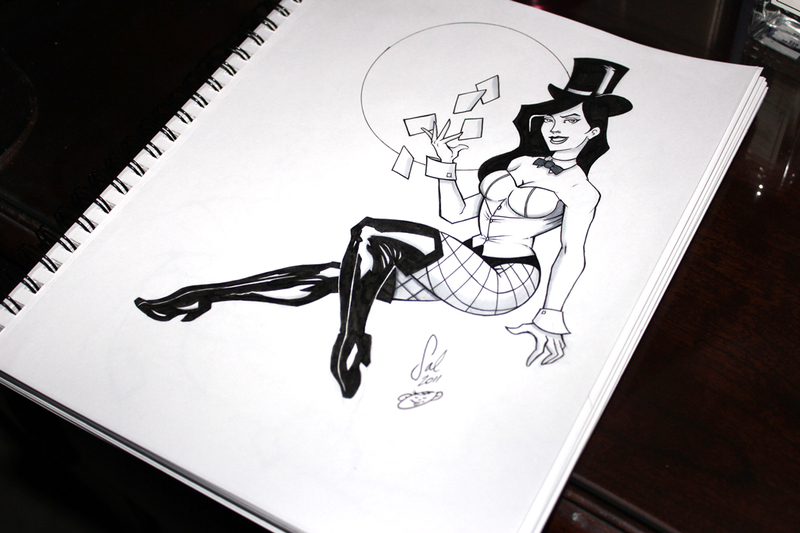 It was only supposed to be five sketches over 5 days, but I couldn't help drawing Zatanna. I've had a crush on her since I was a kid. It's the fish net stockings, I'm telling ya. 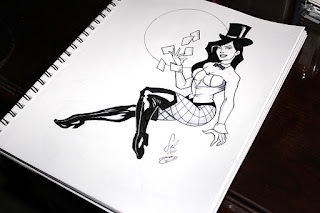 Zatanna is an Illusionist, but also an actual magician. Her spells are cast when she says speaks backwards. She has strong ties to Batman who trained with her Father Zatarra when he left Gotham as an adolescent and was training as an escape artist. I kept the jacket off of her this time because I wanted to give her a slightly sexier look. Since DC rebooted their entire universe (practically) Zatanna's costume has changed. The biggest thing that changed is the fishnet stockings are gone. Ridiculous! I hope you enjoyed the bonus sketch and all the other sketches this week. I had a lot of fun and have decided to do commissions of your favorite characters, so if you're interested please go to the Commissions tab on the home page for more info. Perfect gift for the comic geek in your life! Thanks for joining me this week!